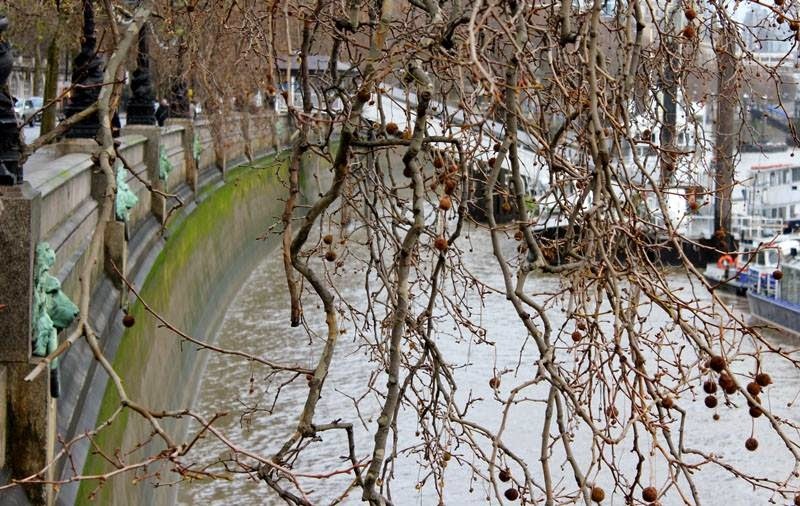 Whenever you're in London no matter if you are tourist or just passer, you will come to Embankment or South Bank. It's just so relaxing walking next to the river although in the winter might be a bit chilly. This is one of my favorite central London part. As I was walking and enjoying my warm latte on a cold and cloudy winter morning I saw pretty "ornamental features" - a lion heads. I took a few pictures just randomly. Later on when I came home I discovered that those heads are not just nice wall ornaments, they serve a vital purpose. 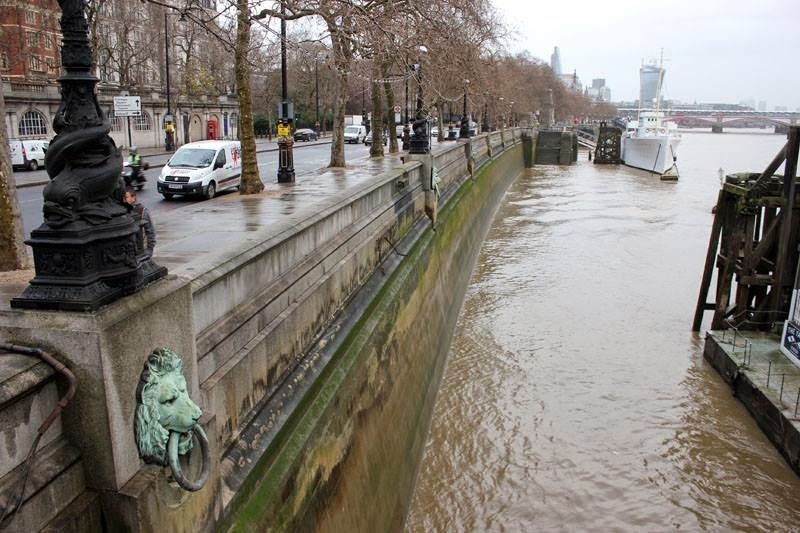 These lion heads line both sides of the Embankment, staring out over the River Thames. Their mouths hold mooring rings and it is said that if the lions drink, London will flood. 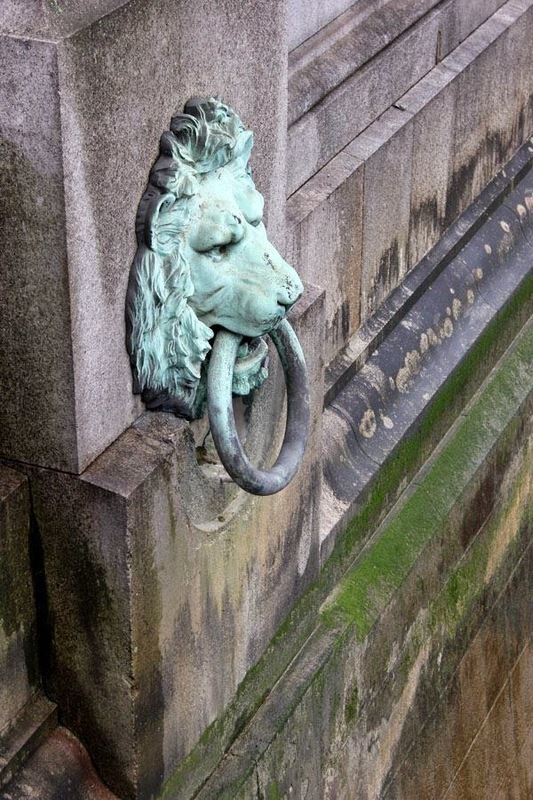 They were sculpted by Timothy Butler for Bazalgette’s great sewage works in 1868-1870. So if the water reaches the steel rings that are in the lions mouth this would be classed as a flood warning. But the possibilities for that to happen are not big thanks to Thames Barrier. After so many hidden spots I discovered here in London in such a short time I can loudly say - this town has many more to offer, you just need to open your eyes and see around. I bet you'll find something hidden that it is worth to admire it. So, go out and explore!